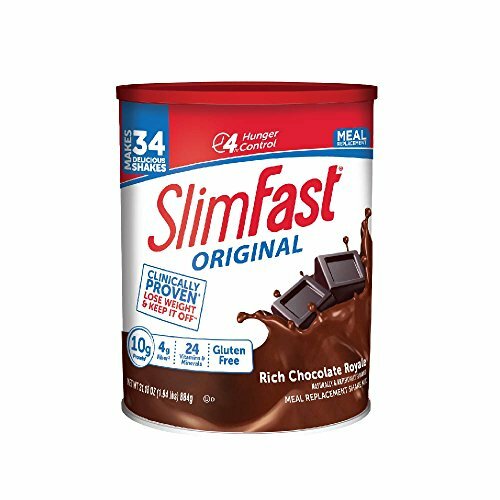 Amazon has SlimFast – Original Meal Replacement Shake Mix Powder – Weight Loss Shake – 10g of Protein – 24 Vitamins and Minerals Per Serving – Great Taste – 31.18 oz. – Rich Chocolate Royale Flavor marked down from $17.19 to $9.48. Check out using Subscribe & Save to get this for $9.01 with free shipping! Instructions: GO HERE and click on the “Subscribe & Save” option on the right side of the item page. Check out for $9.01 with free shipping. Learn more about Subscribe & Save!